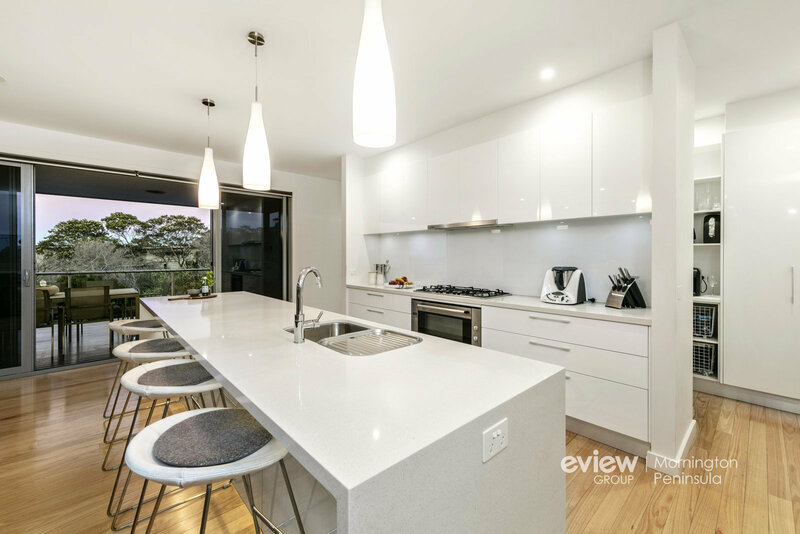 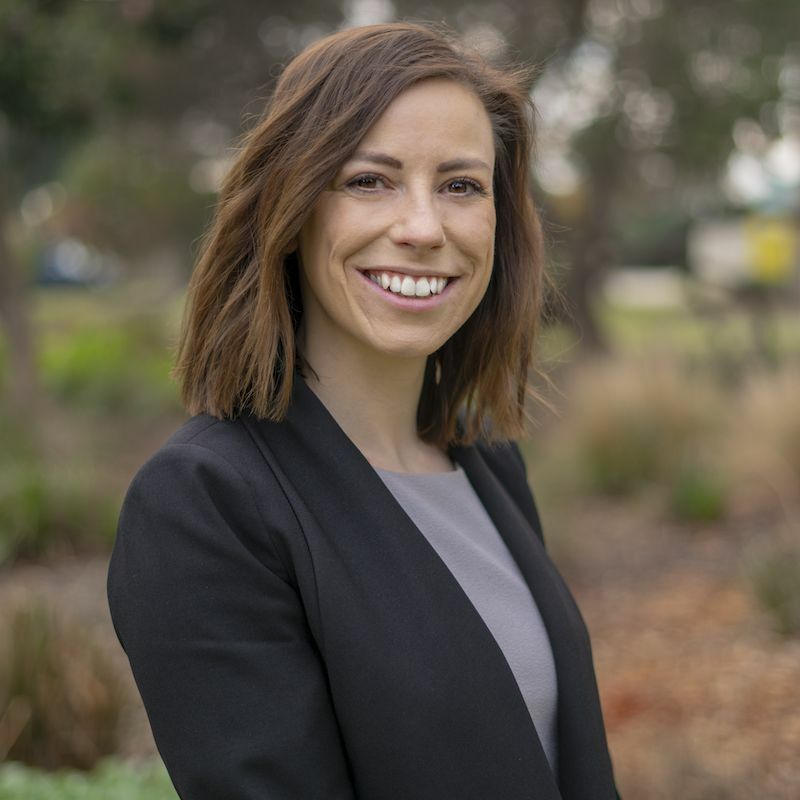 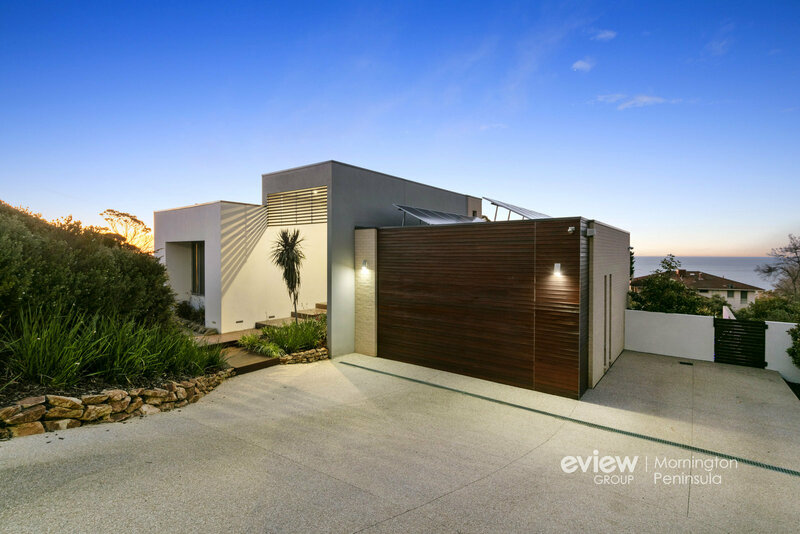 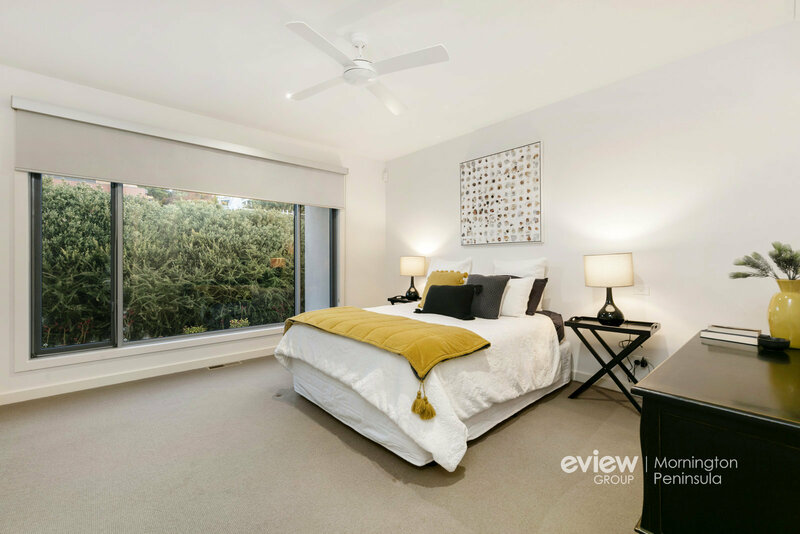 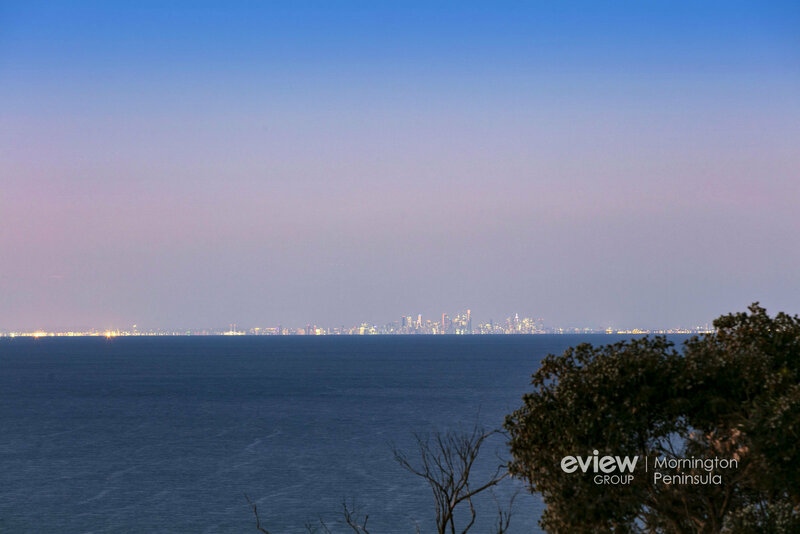 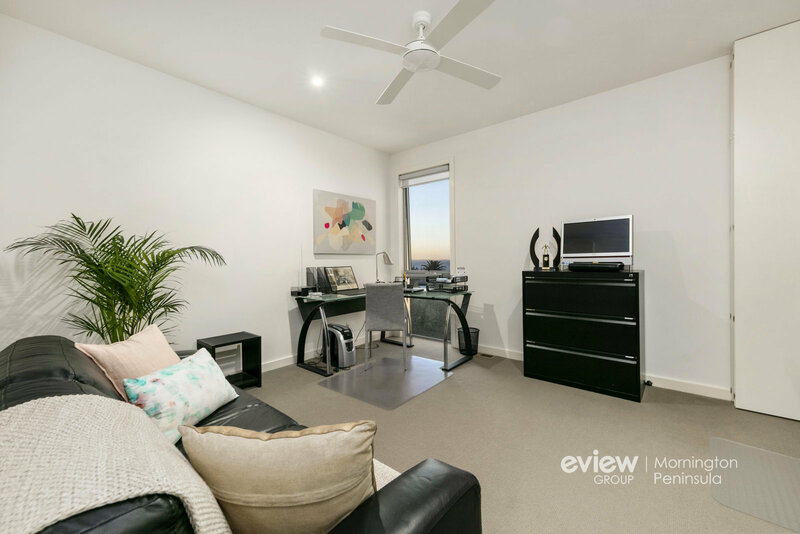 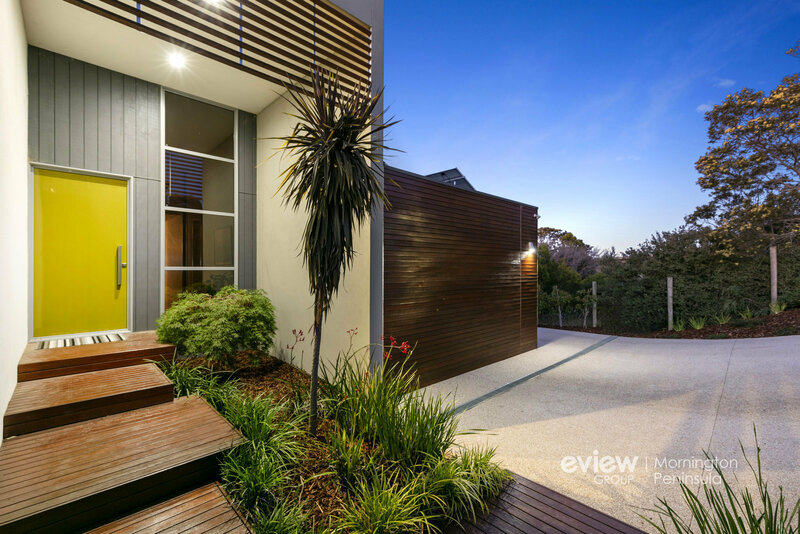 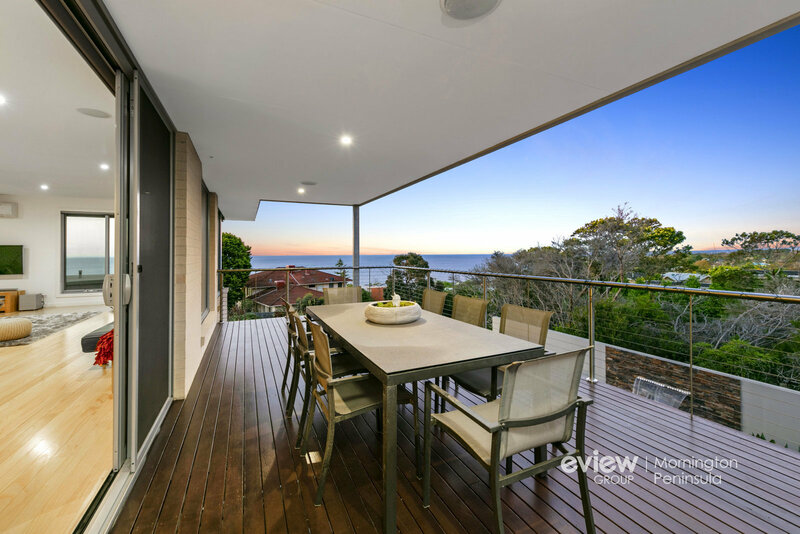 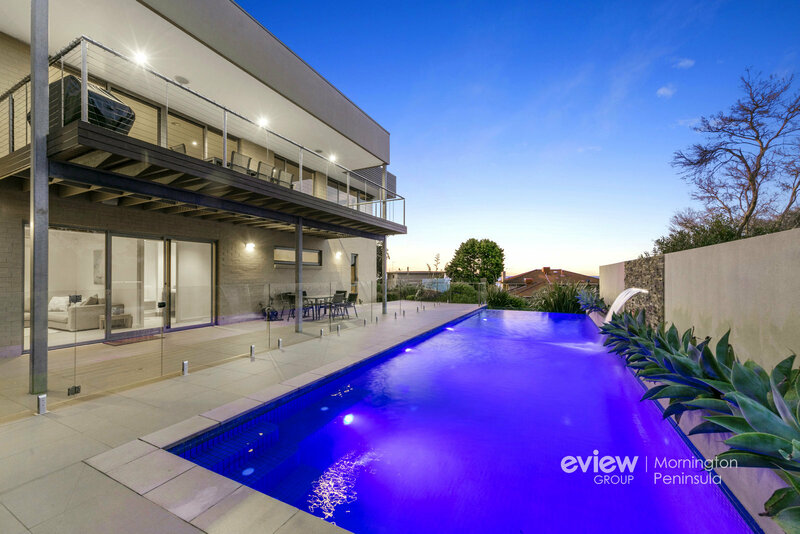 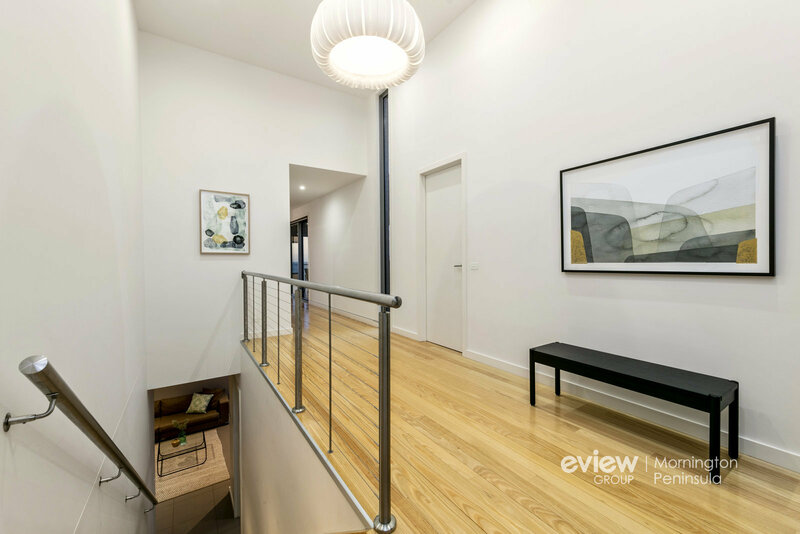 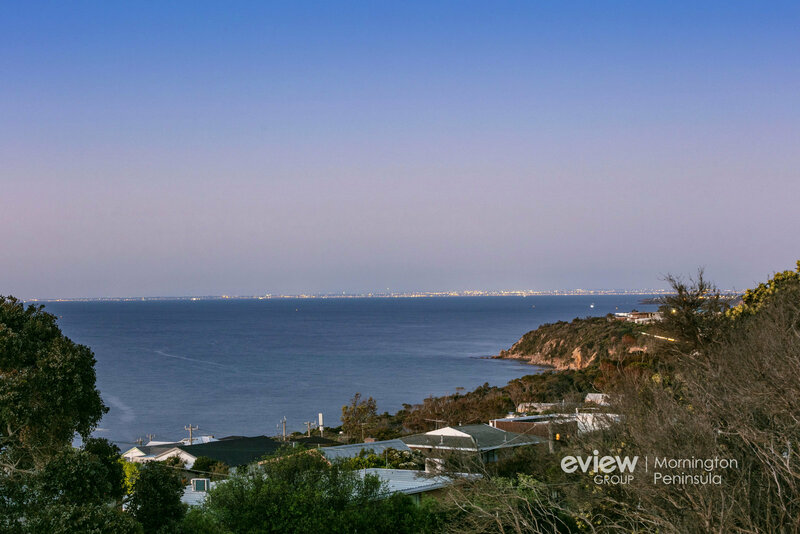 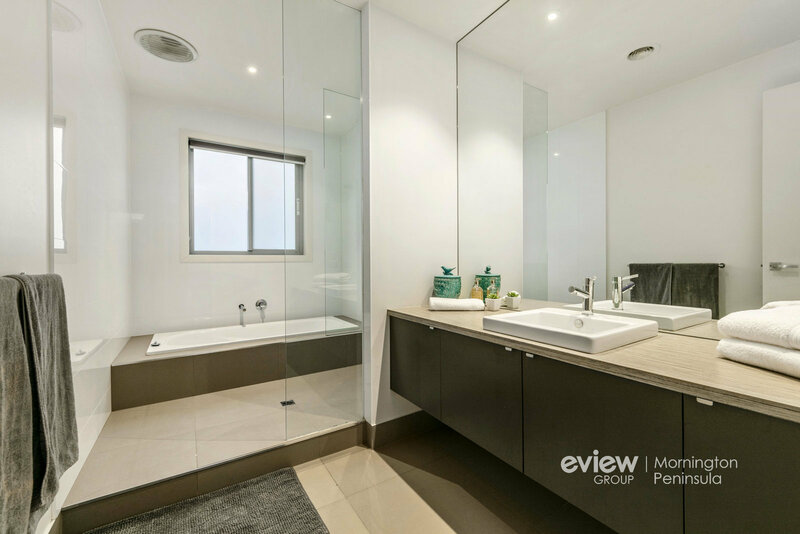 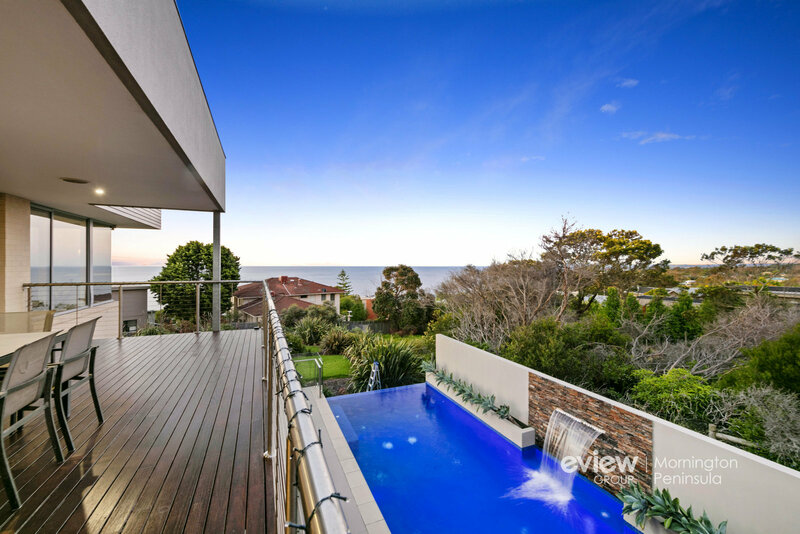 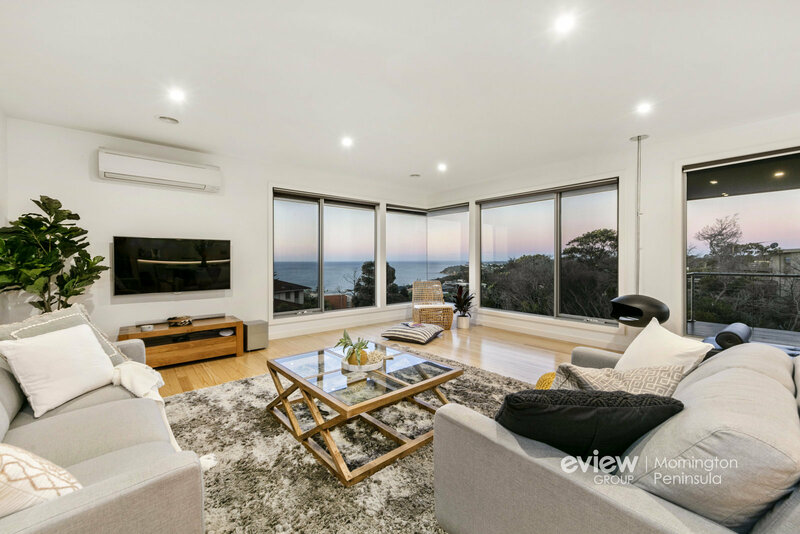 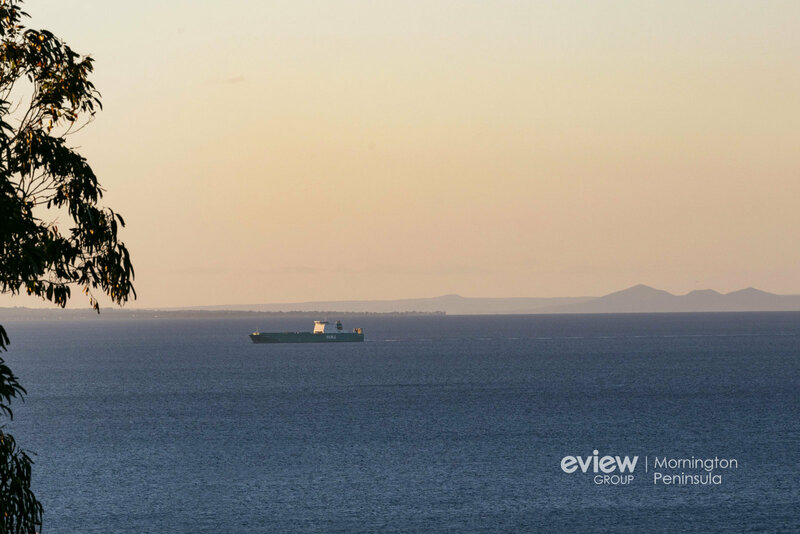 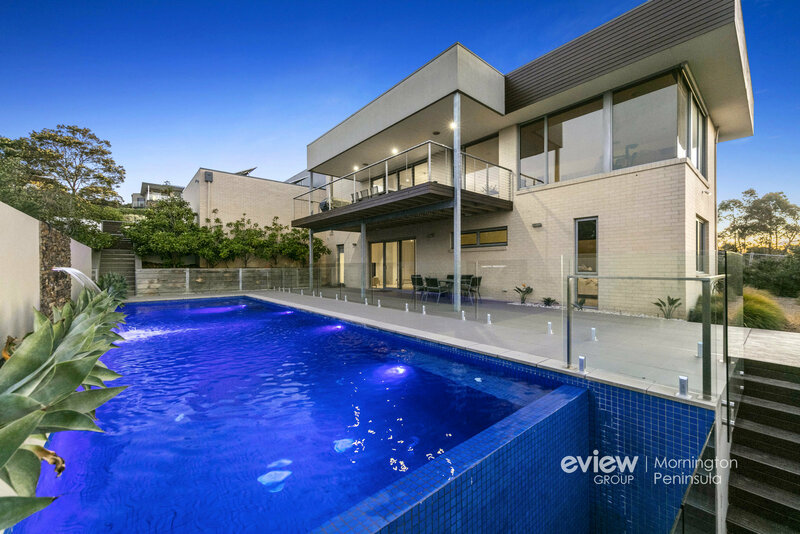 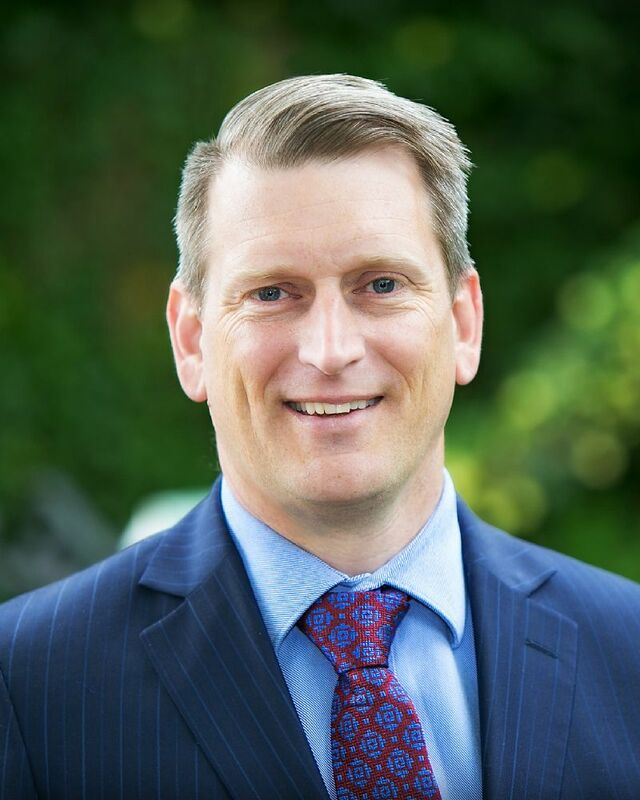 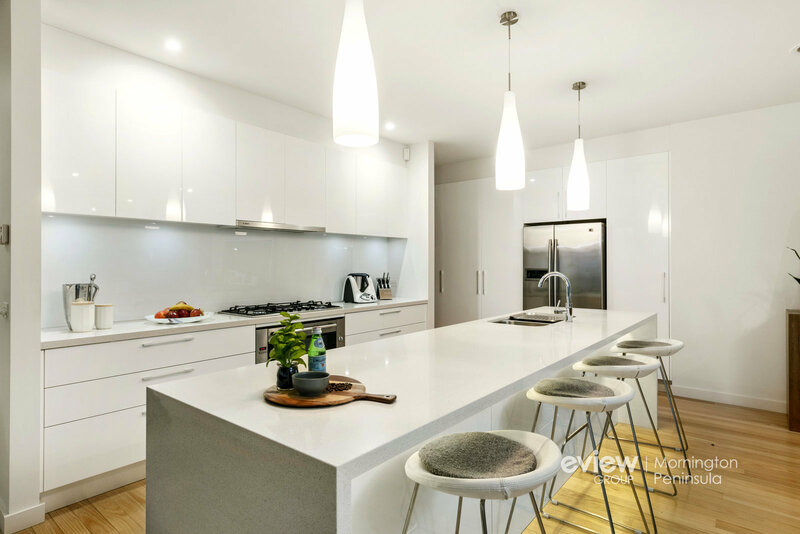 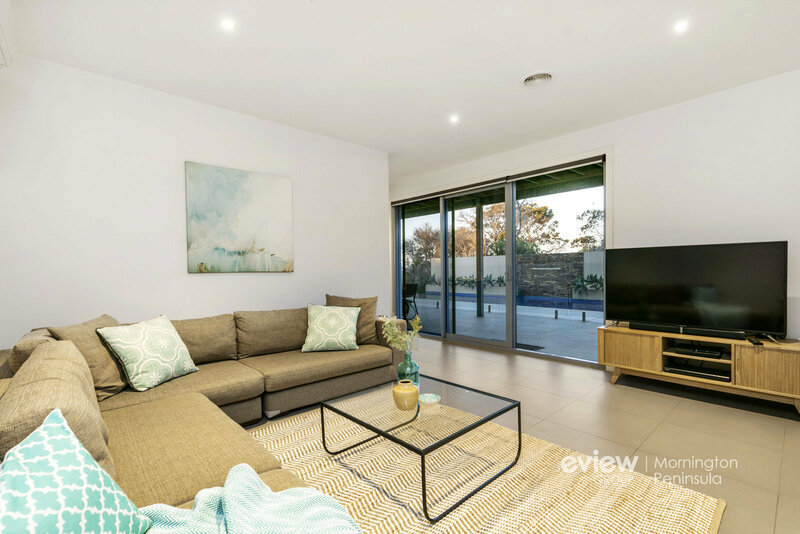 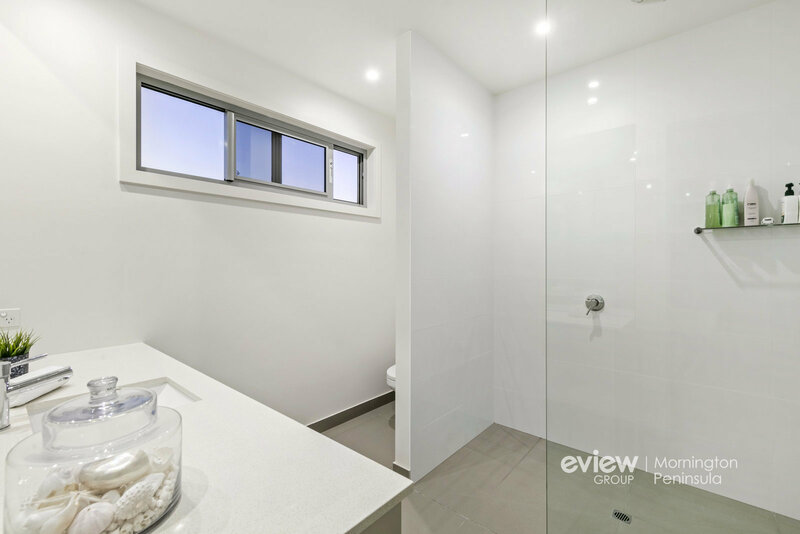 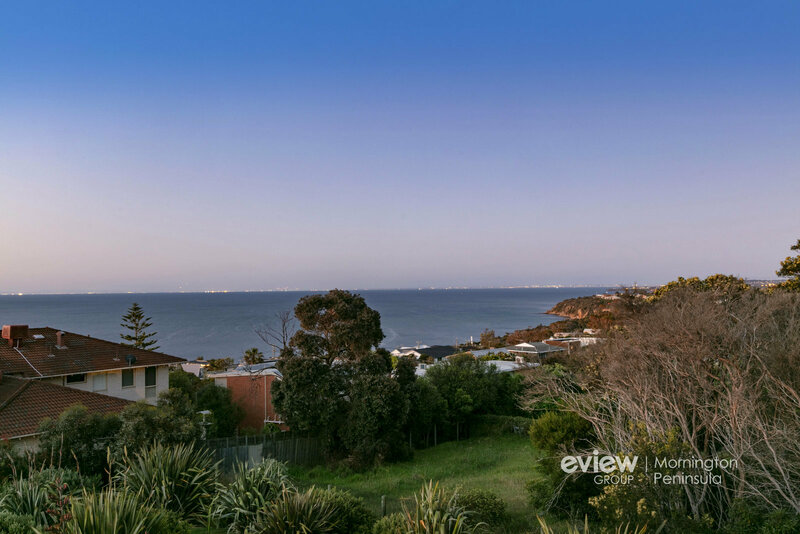 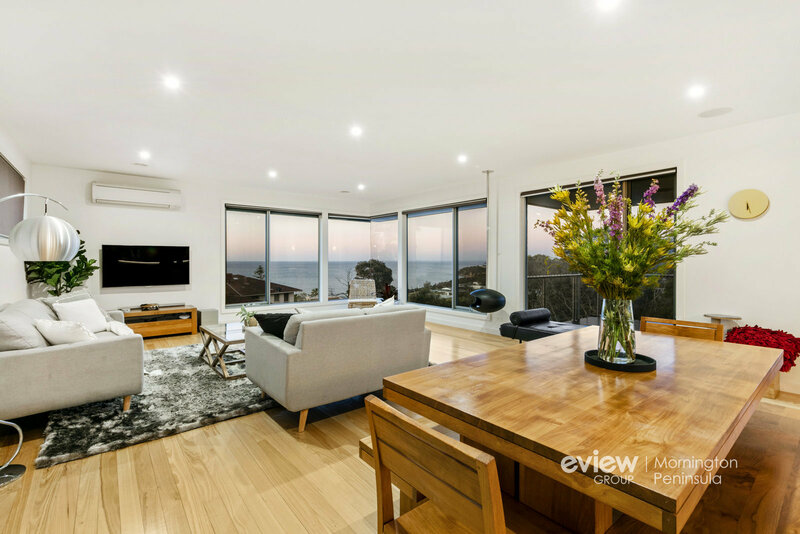 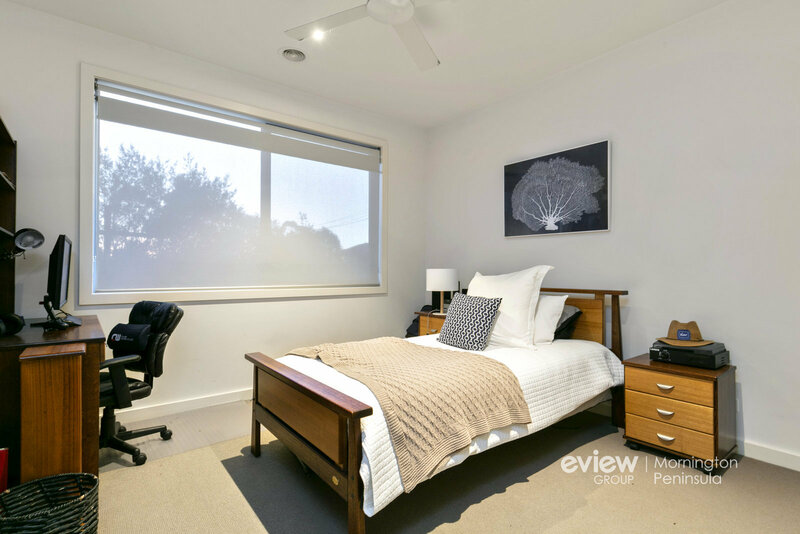 Eview Group - Mornington Peninsula - Mornington - Real Estate Sales and Property Management. 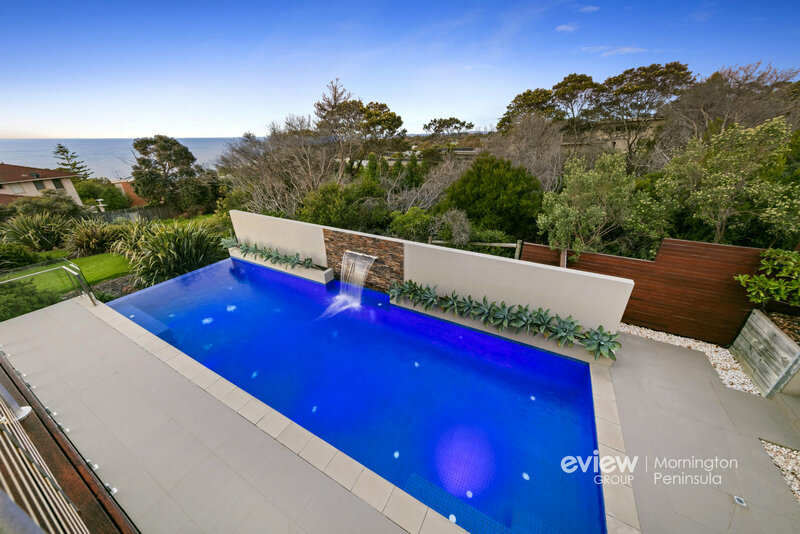 Resort-style oasis with pool & beautiful views. 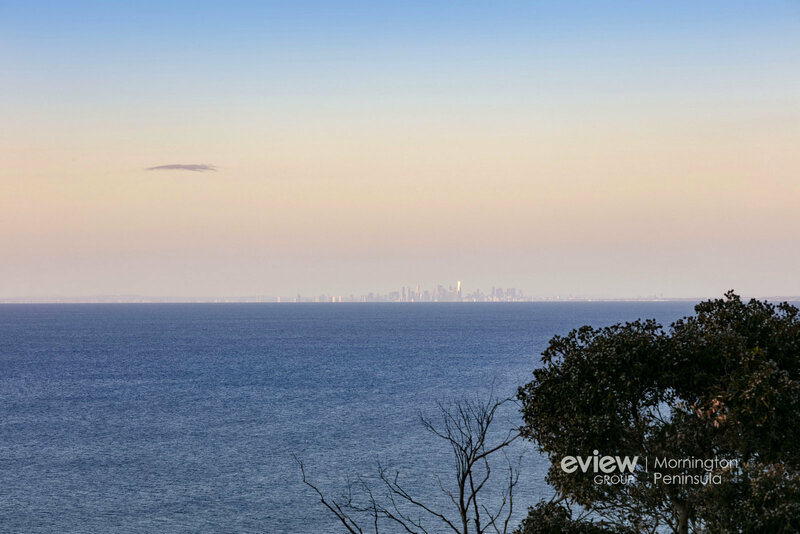 Capturing breathtaking views across the coastline and entire expanse of Port Phillip Bay to the Melbourne city skyline, this owner-built four-bedroom coastal haven designed by Graham Jones and constructed by Ben Jones flaunts the ultimate in contemporary living and laidback poolside entertaining. 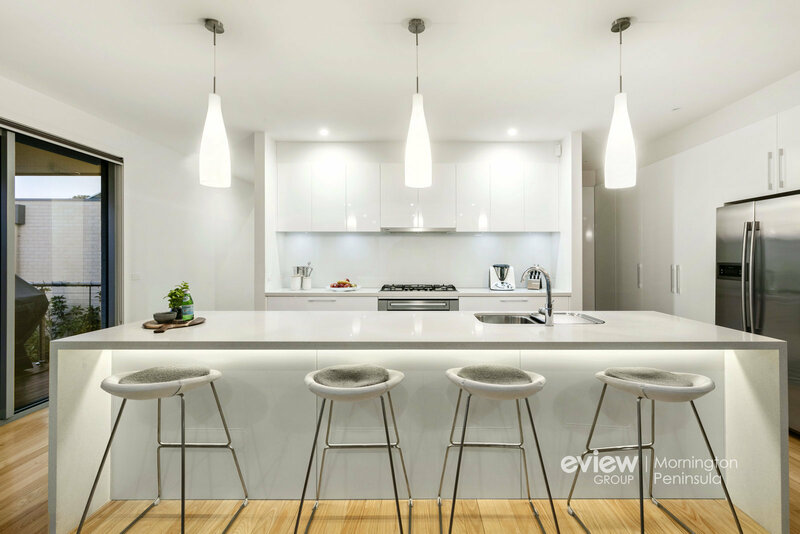 Generous in dimensions and high-grade finishes, the two-storey residence located at the end of a quiet no through road boasts a spacious open living and dining area encased in box glass windows framing the bay, while both a fully-wired home theatre room and kids' retreat on the lower level provide glorious square footage for rest and play. 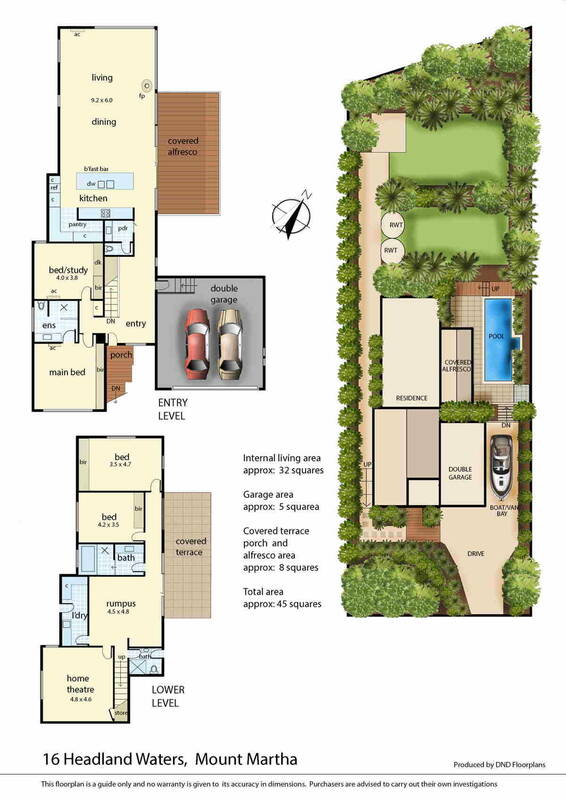 An exquisite cook's kitchen with expansive stone island, Bosch appliances and walk-in pantry adjoins the stunning open breadth of the primary living zone, with both a vast entertainer's deck and large lower patio flanking the heated, self-cleaning infinity pool providing a choice of settings for divine outdoor living. 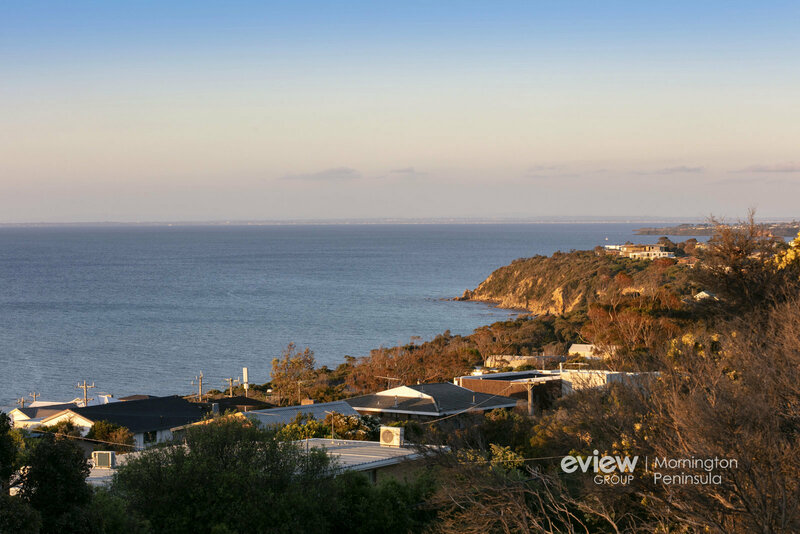 Set on a 1511m2 (approx) terraced allotment just a stone's throw to the coastline and a few minutes' drive to Martha Cove, Mt Martha Primary School, the village and South Beach, this spectacular eight-year-old offering includes a luxe master bedroom, 3.5 bathrooms, ducted heating, ceiling fans, split-systems, solar panels (equating to little-to-no power bills), 2 x 10K litre water tanks, boat bay, double remote garage and a large store room.